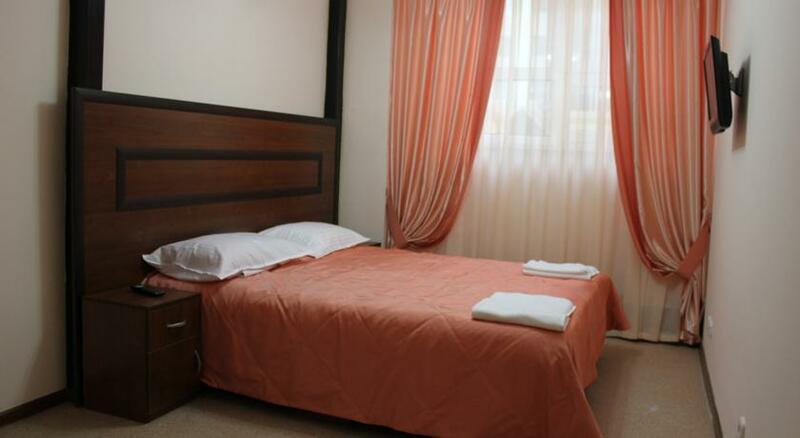 This hotel is located in the administrative centre of Astana, 547 yrd from the Bayterek Monument. Free Wi-Fi and a 24-hour front desk are featured at Bayterek Hotel. The classic-style rooms offer warm-coloured interiors. Each room comes complete with a flat-screen TV, a desk and a private bathroom with free toiletries. A variety of cafes and restaurants can be found within a 5-minute walk from the hotel. Guests can also cook in the hotel’s fully equipped kitchen. Astana Central Concert Hall is a 5-minute walk from the hotel, and the Main Government Building is just 55 yrd away. Dom Ministerstv bus stop, providing connections around Astana, is a minute’s walk from Bayterek Hotel. Astana Central Train Station is a 25-minute drive away, and Astana International Airport is 9.3 miles from the hotel.